Summer days in Cape Town, are perfect for sipping chilled wine and enjoying time with friends! After spending time overseas recently, I have a renewed appreciation for South African wine! Not only from a cost perspective but quality as well! It made me think, why not put together a list of my Top Wines for Summer. 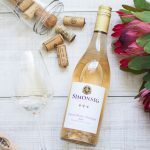 Even though I am a red wine lover at heart, my choice in wine for summer tends to be much lighter and less full bodied, than their winter counterparts. Merlot and Shiraz make way for Sauvignon Blanc and Dry Rose. Not to forget my firm appreciation of sparkling wine or bubbly, as it is more commonly known! I thought I would list my top wines as well as Grants, to give you a male perspective as well. Both Grant and I have our Top Wines, firm favourites which we go back to time and time again but we have also discovered a few great new wines over the past year. Included in our write-up of Top Wines for Summer, are our tasting notes on the various wines, as well as notes from the vineyards. Nitida Sauvignon Blanc ~ We recently attended the Durbanville Season of Sauvignon and had the opportunity of tasting a selection of Nitida Wines. Grant being a Sauvignon lover, his wine of choice on the day was the Nitida 2015 Sauvignon Blanc. I will admit it was my favourite Sauvignon tasted as well! It is a wonderfully balanced wine with a crisp, fresh finish. Think spritely lemongrass and fresh apples, giving way to mellow green fig and white peach around a heart of pure minerality. RRP 77.00 available from Nitida. 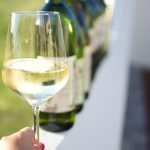 De Bos 2015 Walker Bay Sauvignon Blanc ~ We experienced the De Bos range of wines for the first time at an event held at Bosman Family Vineyards. Grant loved the Sauvignon Blanc, so we bought a few bottles home. The De Bos Sauvignon Blanc is a premium Fairtrade wine, it has a light grassiness on the nose and is wonderfully fruity on the palate. It is great on its own or perfectly paired with chicken or fish dishes. RRP 80.00 available from Bosman Vineyards. Enaleni 2015 Sauvignon Blanc ~ This is another wine which we tasted for the first time recently, last week to be precise! 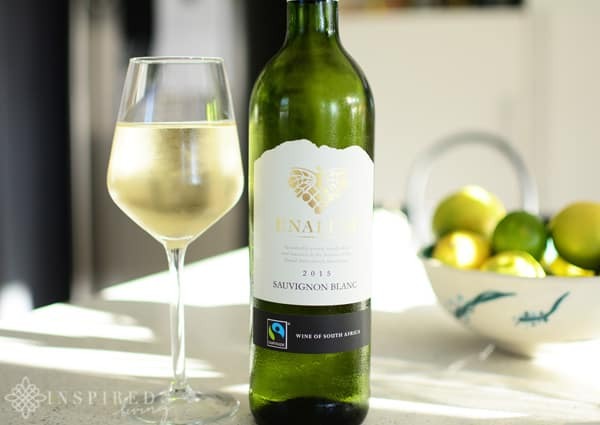 The Enaleni Sauvignon Blanc is Fair-trade certified, which encourages sustainable production and initiates a long-term approach to environmental protection. An intense wine with aromas of fresh gooseberries and passion fruit, balanced by hints of green and yellow peppers on the nose. Medium-bodied with a harmonious finish of fruit and acidity on the palate. I paired the wine with a tray bake chicken, with vine roasted tomatoes and it complimented the meal beautifully! At R65.00 per bottle it is also great value for money! Silvermist Organic Single Vineyards Sauvignon Blanc ~ a balanced and refreshing white wine, with lots of fruit on the palate. It pairs well with summer dishes and more especially sushi! At R280 per bottle it is best enjoyed on special occasions! Available from Silvermist Vineyards. Bosman 2015 Pinot Gris ~ We tasted the 2015 Pinot Gris at the Bosman Release event last year. The Bosman Pinot Gris is silky smooth with juicy fruit flavours and fresh acidity. A foodie wine, as it pairs well with a host of dishes. I would also recommend a Pinot Gris if you who are not ardent Sauvignon or Chardonnay fan. RRP 75 available from Bosman Vineyards. Welmoed 2015 Pinot Grigio ~ If you prefer lighter wines then this is one for you! It is the ideal wine for warm summer days. It has a balanced fruitiness on the palate and a crisp light finish. Cost wise it is good value! RRP 55.00 available from Stellenbosch Vineyards. Domaine Grier French Rosé ~ This is possibly my favourite summer wine! It is a typically dry, refreshing Rosé from the South of France. Great to sip on its own and equally as good with food, especially seafood. The Domaine Grier French Rosé is well balanced with a classic minerality and soft fruit flavours of fresh strawberries and watermelon. RRP R64.95 Available from Woolworths. 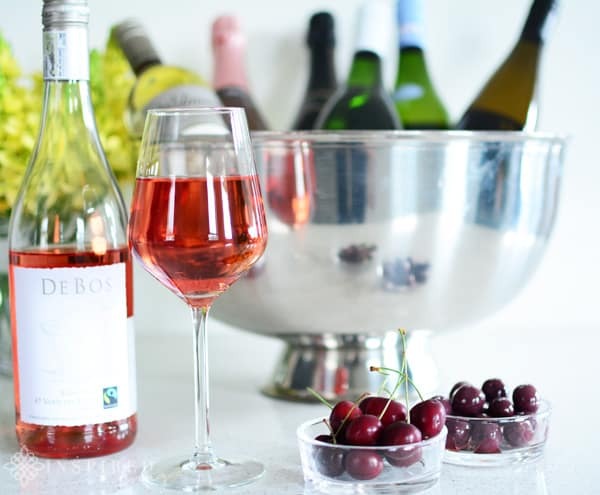 De Bos 2015 47 Varietal Rose ~ The De Bos Rose is wonderfully fruity, with a lingering finish. It is the perfect wine for long summer lunches! RRP 70.00 available from Bosman Vineyards. De Grendel 2015 Rose ~ This delicate pink wine is fruity on the nose, with delicious berry flavours and a crisp dry finish. The Rose pairs well with seafood but is equally as good sipped on its own. The De Grendel Rosé is a blend of 40% Shiraz, 35% Cabernet Sauvignon and 25% Pinotage. RRP 55.00 available from De Grendel. Avondale Camissa ~ I immediately fell in love with this wine, when I tasted is it in the Vineyards on Avondale Wine Farm! Camissa is a blend of three flavourful varietals – 42% Muscat de Frontignan, 39% Mourvedre grapes and 19% Grenache. The aroma hints at rather sweet notes, but it is anything but on the palate. Camissa arrests the nose with rose petals, scented pelargonium and fresh red fruits of the earth. Hints of Turkish Delight and lemon zest attest to the perfect acidity of this wine. RRP 149.00 available from Avondale. Simonsig Pinot Noir Brut Rosé ~The Pinot Noir Brut Rosé, which contains no-added-sulphur, is made exclusively for Woolworths. It is made with 100% Pinot Noir grape and has the palest salmon tinge with an enticingly fruity nose. In my opinion, it also has a faint flavour of whisky on the palate – leading to a crisp, dry finish. RRP 119.95 available from Woolworths. Graham Beck Brut Rose ~ This wine will not need much introduction as I think it is a popular choice for most bubbly drinkers. 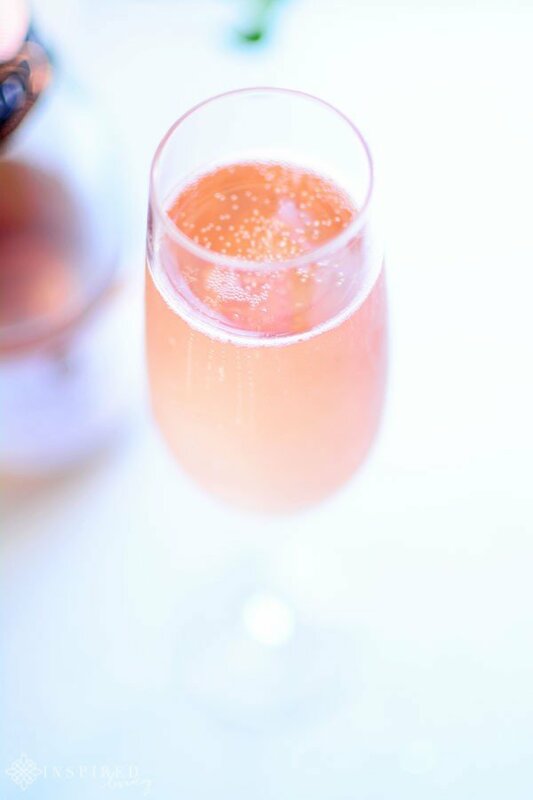 The Graham Beck Brut Rose has a beautiful silver pink blush and is expertly crafted in the traditional Methode Cap Classique. The combination of Pinot Noir and Chardonnay grapes create a bubbly that bursts with flavour on your tongue.RRP 119.95 available from Woolworths. Altydgedacht 2013 Methode Cap Classique Blanc de Blanc ~ The Altydgedacht Méthode Cap Classique combines aromas of green apple, with biscuity flavours, to create a wine that is complex and refreshing. The full mouthfeel can be attributed to malolactic fermentation and the 24 months of lees maturation in bottle. I tasted this bubbly for the first time at the Durbanville Season of Sauvignon and loved it! Steenberg Sparkling Sauvignon ~ I also love the iconic Steenberg 1682 Chardonnay MCC, which I think is also one of those Cape wines everyone knows and loves! The Steenberg Sparkling Sauvignon Blanc is made to be fun, fruity and fresh. The nose bursts with aromas of passion fruit, litchi, guava, pineapple, mango and green figs. The palate is crisp and fizzy with hints of pineapple and passion fruit and a long lingering aftertaste with a refreshing finish, perfect for a hot summer’s day. RRP 105.00 available from Steenberg Farm. 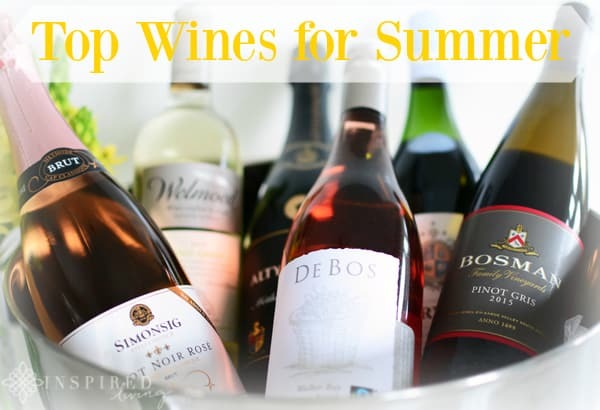 I hope you find this list of Top Wines for Summer helpful and informative when it comes to selecting wines to enjoy in summer and beyond. Do you have any favourites you would like to share? Please leave a comment below. Iona, Steenberg and Cape Point Vineyards. Another great Rose bubbly is Laborie.